Johnny was average: looks, personality, and brains: He scored between the 30th and 50th percentile on most standardized tests, from the 2nd grade reading and math achievement test to the SAT. Johnny went to community college and three courses short of his A.A., dropped out, in part because he had taken the required math course three times and couldn’t pass it. He took a job at Evergreen Nursery, unpacking shipments, hauling soil to customers’ cars, answering customers’ questions, too often having to turn to the Sunset Garden Book. After work, Johnny played schoolyard basketball or just vegged out, whether staring out the window at drifting clouds or at the snow falling, or cooking. He considered such activities as peeling potatoes or watching water come to a boil as meditative. Johnny got promoted to assistant manager with an increase in pay to $15.25 an hour. But Home Depot’s, Lowe’s, and Wal-Mart’s selection and prices trumped too many customers’ desire to shop local and so Evergreen Nursery, like many mom-and-pops, closed. Nervous, Johnny wanted a job fast so he applied to Home Depot and was hired as an assistant manager in its nursery department at $17.75 an hour. Although his nearest Home Depot was just two miles from his apartment, the nearest one that had an opening was seven miles away, and with the ever worsening traffic, it took him an hour each way—Mass transit would have taken him much longer still. As troubling, with the commute expense, Johnny was now making even less, net, than at Evergreen. The good news was that the job was easier because he didn’t have to fill in with delivery unloading or soil carrying when employees called in sick. There were fork lifts and if a worker in the nursery department wasn’t there when a delivery arrived, the store manager would just reassign someone from another department. And for a few years, all proceeded reasonably well. Although Johnny’s rent and other living expenses increased, he got small raises every six months and so remained solvent. He was even able to replace his 30-year-old 19” Magnavox TV with a 55” Scepter that Wal-Mart was selling for $279. He didn’t even have to, as he usually did, pay for it in installments. He bought it for cash. On his 40th birthday, Johnny sat at his window, staring at the autumn leaves falling and saw his future as just hanging on and when the inevitable layoffs and then illness hit, there'd be no money for retirement, so he'd have to move to a welfare hotel and live on food stamps, and then possibly die early because of an overwhelmed health care system. The U.S. alone has 150 million people at or below the 40th percentile, with an IQ of 90 or less. Meanwhile, the jobs such people used to hold are being ever-more automated, offshored, and converted into temp gigs. A McDonald’s in Phoenix has replaced clerks with kiosks and burger makers with robots. Amazon is only the most prominent of retailers that are automating warehouse work. There are farms in Japan with no workers. 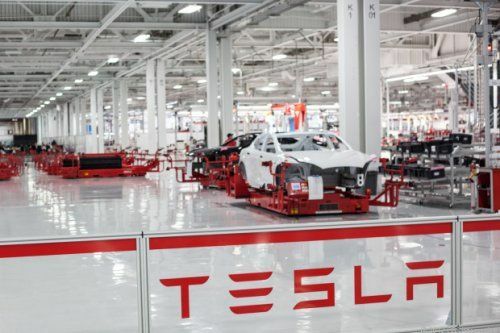 The Tesla factory floor has lots of big manufacturing machines and few humans. And the more benefits that government mandates, the more employee lawsuits, the faster employers will replace U.S. workers. Steven Pinker’s Enlightenment Now is a hot book, indeed is Bill Gates’ favorite. It points out society’s progress but ignores important realities—like what’s going to happen to the world’s 3 billion Johnnys. I read this on YouTube.